Recently I have noticed some clear signs that my babies are growing up. As my youngest rapidly heads towards her third birthday later this year I am well and truly moving beyond the baby stage. I had alluded to the tinge of sadness that comes with seeing my last baby grow up. I am not planning any more children so this is it. To feed my reminiscence and allow us all to gush over those parenting moments gone by my blogger buddy The Busy Mama has posted a lovely linky “Once upon a time: Tales of parenting moments gone by. For me, a big thing about not having any more babies is the realisation that all those lovely ‘firsts’ have now become lasts. So here I share ten of the last ‘firsts’ I have enjoyed, and will miss, now that I move on to another phase of my parenting life. One of the most exciting moments of any pregnancy (provided it was planned!) is peeing on the proverbial stick. Doing a pregnancy test is the most exciting wee you will ever take. That minute or two afterwards is full of hopes and dreams and thoughts of what might be if a second line appears. When it does, sheer joy, panic, exhilaration and every other emotion strikes. You are then left with a happy little secret. No one else knows – at least not for a couple of weeks. Of course you will do another ten tests (at least) but that very first one is so very special. I will always remember the moment on each of my three vividly. In fact I even still have the pregnancy tests. 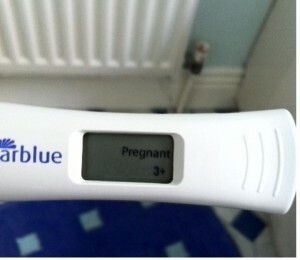 While a positive pregnancy test brings so much excitement there is also fear and anxiety that everything will be okay. That first trimester is fraught with worries of miscarriage or of something amiss. The first scan is usually around the 12 week mark (although my earliest was about 7 weeks). I will never forget looking on that tiny screen and seeing this little shape. It already looked like a tiny, perfectly formed baby – because it was. Trying to conceptualize that it was my tiny baby developing inside of me was insane. I have a very clear memory of walking out of my very first appointment on my very first pregnancy and holding a tiny picture of our baby. It really was the first time it hit both of us. We are going to be parents. The first baby kick is so lovely. A private little moment between mammy and baby. The first time I recall a kick I nearly fell off the couch. Then I cried. It was so amazing. I always missed those little kicks after baby was out in the open (even though some of them were pretty intense) and always looked forward to when they struck on subsequent pregnancies. As a C-section mum as each of my babies was delivered there is that moment as you await a noise. A cry. There is such a sense of relief when you hear that newborn wail. The best cry ever. Those very first breaths of your new baby. Magical moments never to be forgotten. If only they didn’t cry again! Ever. Going home was terrifying. Were they really going to let me and my husband off with this tiny human and expect us to look after her? Of course the hospital made sure she was strapped into the car seat correctly and we headed off. I sat in the back (the first journey home anyway) and held my little babies hand. I am not sure my husband has ever driven so carefully again. Carrying the little car seat with our precious cargo into our house and showing her around her new home was so special. Never again will I bring a new little package into our house. Just as the sleep deprivation is really taking its toll mother nature has done something wonderful. She has programmed newborn babies to develop their first smile just at this moment. Was it wind? No, I’m sure of it – our baby smiled! The first of many, many smiles. Talking is such a fantastic milestone. The second guessing can come to an end and as your child’s speech develops you can enjoy lovely little conversations with them. Whatever conversations you will have nothing will beat that very first word. It may just slip out. With my oldest daughter we were carrying her into my in laws house and out it came. “Da-da”. That moment is etched in my memory. Of course I can’t get her to stop talking now. You will quickly realise that having a non moving sleepy newborn is actually quite easy compared to once they find their feet. Moving from their speedy crawling or bum shuffling and watching them gain the strength in their legs to take their first step is amazing. One day they are crawling around and suddenly you are chasing a toddler running around. It’s hard to know if you truly catch their first steps (although I know I did on my third) but the first time you see them taking a step is mind-blowing. Then you immediately go back to wishing they were still again! There will come a time when you will have to leave your baby. Maybe for an hour, maybe for a day, maybe for a few days. Leaving your baby, no matter who you are leaving your precious bundle will be hard the first time. There may be tears and many phone calls just to check in but it will also be exhilarating. A few brief moments of freedom. I recall going to a wedding when my first was 8 months old. It was in the UK on a Monday so we flew out Sunday and home on Tuesday. I cried leaving but boy did we have fun at that wedding! It did all of us the world of good. Two of my three have started big school. My littlest lady is in pre-school so I guess I do still have one more time to wave her off to big school. It is an emotional day but one where your heart fills with pride seeing them in to their new class. There are so many worries for them. They are so small yet being thrust into this alien world. My first two have thrived and I hope when the time comes my littlest lady will too. 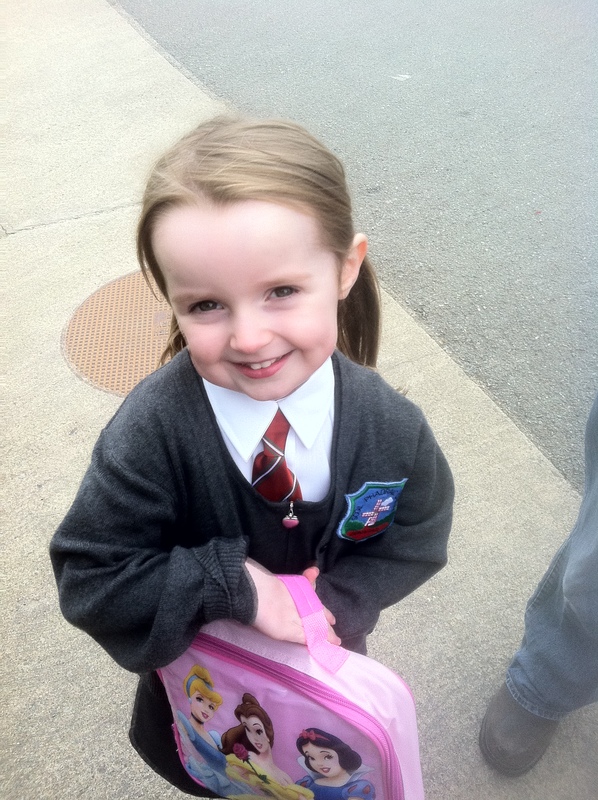 I am sure that day will be super emotional as I send my last baby off to big school. There are of course plenty of firsts ahead of me. I look forward to them all but knowing you have done a ‘first’ for the last time is always going to be a little sad and emotional but I have enjoyed thinking back on those lovely parenting moments that have now passed but will forever remain in my head and especially in my heart. Why not pop over to see all the other great entries in The Busy Mama’s Linky by clicking on the badge below. What a lovely way to put it all together – I miss every one of the “first steps” you mention- you’ve made me all broody! Beautiful post Lucy! Can you believe I’d already forgotten the 5mph drive home! I’m always terrified when I’m bringing mine home and would gladly wrap the car in bubble wrap if I could. Thanks for hosting a great linky. I had so much fun remembering lots of special moments. Great idea for this post. I couldn’t help but chuckle as a mother of older children, at the thought of all the firsts ahead of you, some lovely, and others….. we’ll say no more. I agree though the last first is so hard. tric recently posted…The end of an era. Oh yes, I’m sure there will be lots of interesting firsts ahead! Yes, say no more – I love that element of surprise 🙂 I suspect the teenage years will spring more than enough firsts on me! Aw,lovely list of last firsts.Some gorgeous moments there. Oh I’m blubbering, you have captured everything so well… makes me want to have just one more round of firsts… the post definitely needs a broody alert!